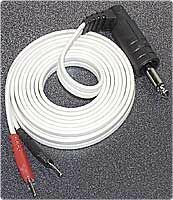 Mettler 2263 single channel cable adapter set for the Sys*Stim 206 & 207. Comes complete with the plug adapter (Mettler 2262) and one international cable (Mettler 2260). 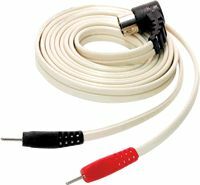 Mettler 2260 Electrode cable set for Sys*Stim 208, 208A, 226 and 294 and Sonicator Plus 930, 992 and 994. 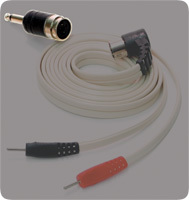 Includes one dual cord set with special international-type connectors. 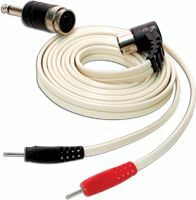 Mettler 2264 Dual channel cable adapter set for the Sys*Stim 206A, 207A & 220 & Sonicator Plus 900. Comes complete with two plug adapters (Mettler 2262) and two international cables (Mettler 2260).